Fat Back Brewery started in 2010 as a home brewing group consisting of Jared Rudy, Adam Rosdahl and Andy Sutton in Topeka, KS. The group name in homage to Jared’s many years of playing Rugby. Jared and Adam’s love for making beer soon caught on with their wives Emily and Melissa. Putting together recipes and perfecting brewing techniques to make great beer quickly became a passion of the group. As the group intertwined with local brewers guilds, brewing professionals and craft brewer consumers to build and grow their knowledge of this new found craft, they fell in love with the industry. Around 2013 the art scene in Topeka exploded and the group realized that Topeka was in need of another craft brewery focusing only on craft beer. This brewery had to not only make excellent beer but support the arts and the community as a whole. In the summer of 2014 with the help of Small Business Development Center and NOTO the group started putting things in action to make this goal a reality. 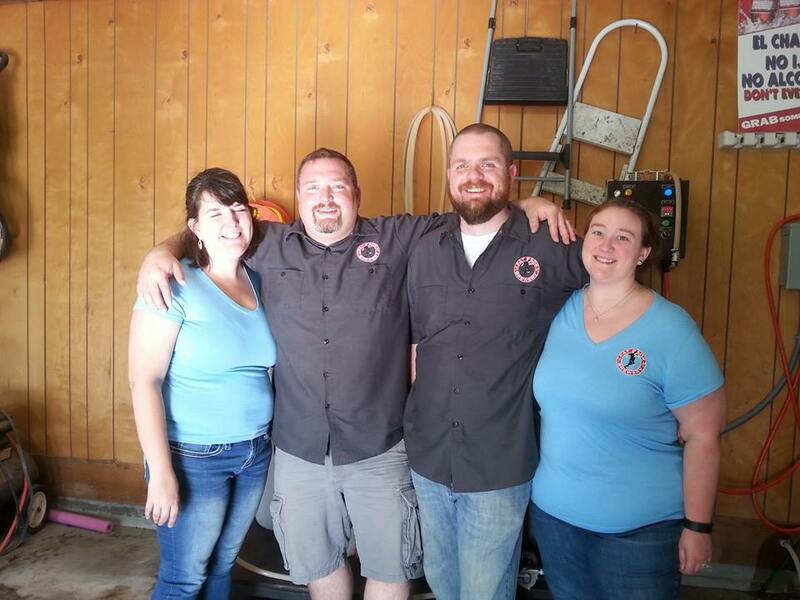 In May of 2015 Fat Back Brewing Associates Corporation was founded by Jared and Emily, Adam and Melissa. Emily and Melissa hold the majority shares, so the Brewery is equally ran by the two couples. In line with our vision of supporting art we needed a theme that would let people’s imagination roam while allowing for flexibility in artwork showcased in our tap room and naming conventions for our beers. With this in mind the group finally settled on Old Norse (think Vikings) feel. We also wanted to pay homage to the North Topeka community we would be joining. Northern Hills and Logan Junior Highs were closed a few years ago to make Seaman Middle School. The Mascot for Northern Hills was the Norsemen and we wanted something that reminded people of North Topeka. Norsemen Brewing Company was born. All Vikings are Norsemen but not all Norsemen are Vikings!